The title chances of IMSA Performance Matmut were buried when the rear left suspension of the Porsche GT3-RSR #76 failed and Markus Palttala had to pit for lengthy repairs. 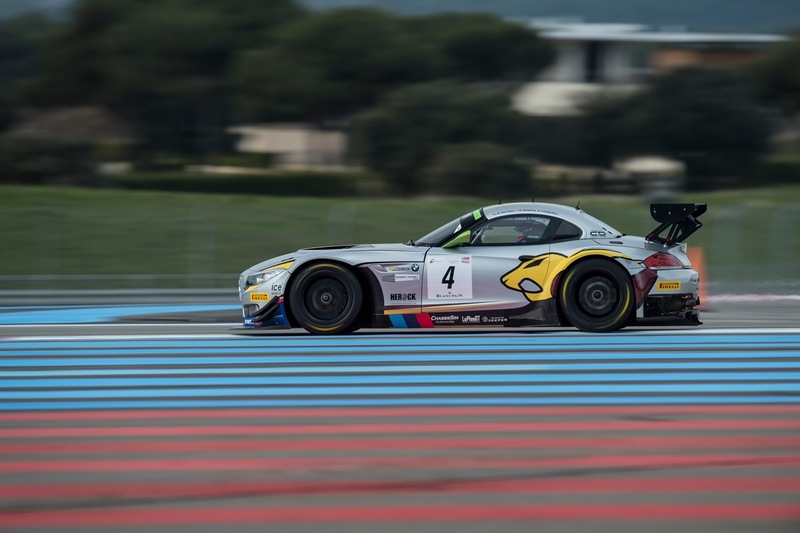 During the first 4 hours, Palttala, Narac and Vernay had been racing consistently in the top 3, which would have been enough to bring the FIA WEC GTE-Am championship title to the French team. After returning to the race, the Matmut trio crossed the line 6th securing 3rd in both the team and drivers’ championship. Markus Palttala took the chequered flag in 2nd position in the penultimate round of the FIA World Endurance Championship keeping the title chances of IMSA Performance Matmut and teammates Raymond Narac and Jean-Karl Vernay alive until the final round in Bahrain end of this month. Markus Palttala and Stefan Landmann won the final race of the season finishing 6th overall in the process. After a season filled with bad luck and accidents, the entire RTR powered by SIMFYmusic team was happy to finish on a high. Markus Palttala was called to return in the FIA World Endurance Championship with Le Mans winning French outfit IMSA Performance Matmut for the remaining 3 races in Japan, China and Bahrain. The quick Finn shares the Porsche 911 GT3-RSR #76 with regular drivers Raymond Narac and Jean-Karl Vernay who are in contention for winning the LMGTE-Am title. The Japanese round of the FIA WEC was a disappointment for all the teams and fans as the race ran just 16 laps, all behind the Safety Car, and was red flagged due to torrential rain. The IMSA Matmut Porsche finished 5th in class after gaining 3 positions in the early race pitstop shuffle.